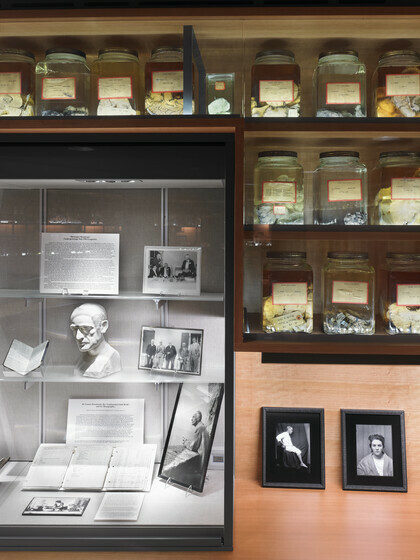 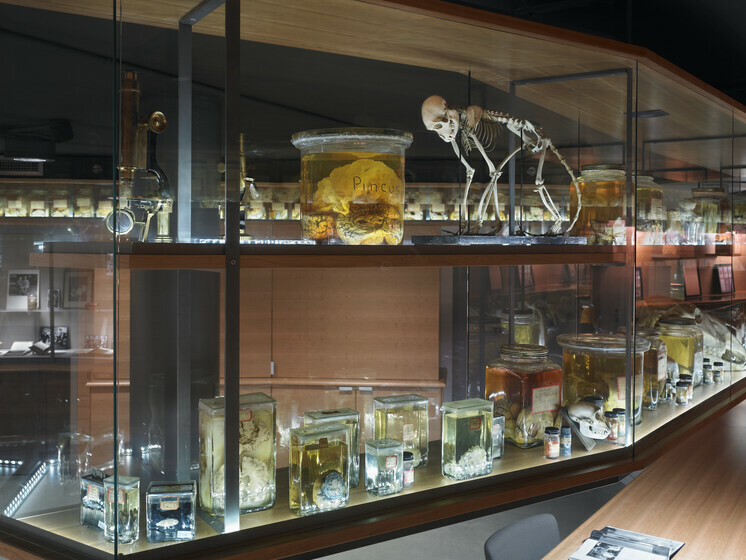 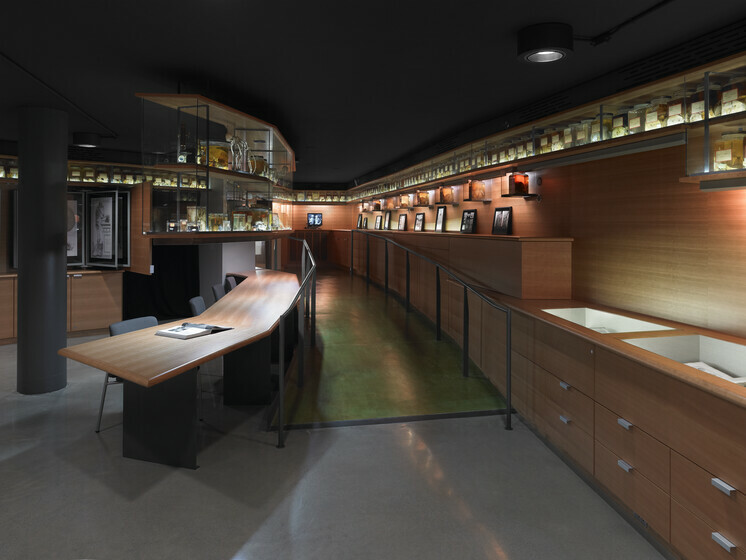 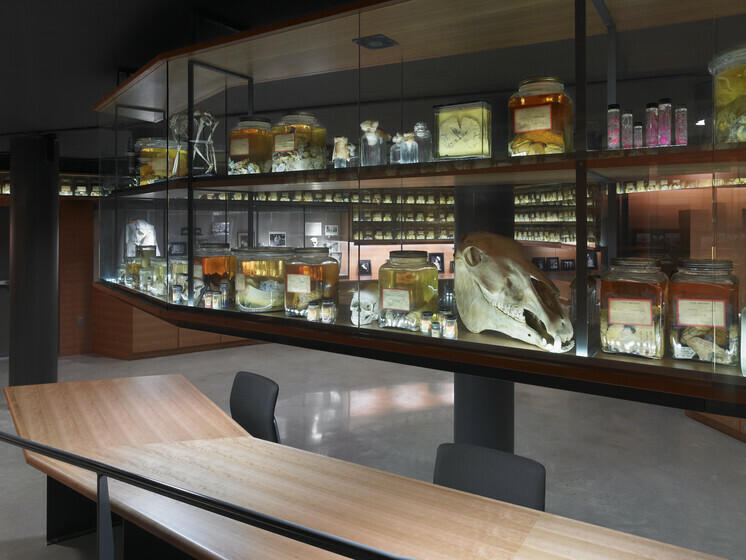 Housed in a new subterranean space beneath the Yale School of Medicine library, the Cushing Center displays the extensive collection of brain specimens, artifacts, and archival materials amassed by prominent neurosurgeon, Dr. Harvey Cushing, during the early part of the 20th century. 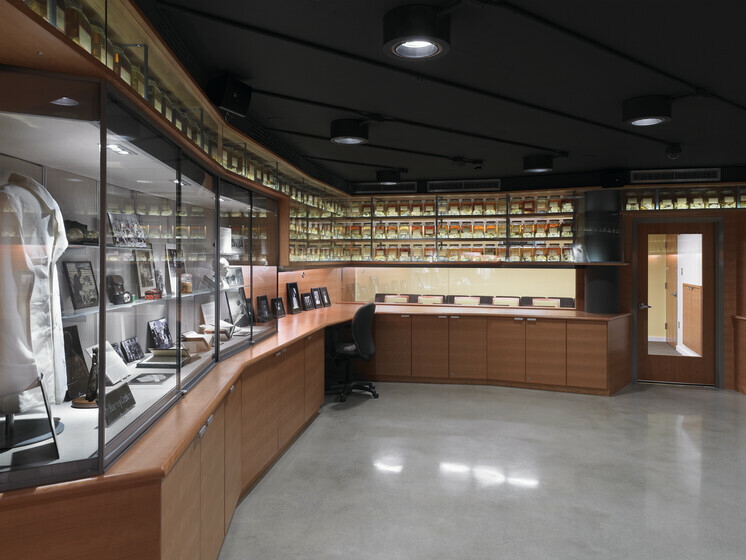 Designed as an exhibit, research, and meeting space, the Cushing Center features custom millwork with carefully integrated LED lighting to illuminate this unique collection and provide a singular visitor experience. 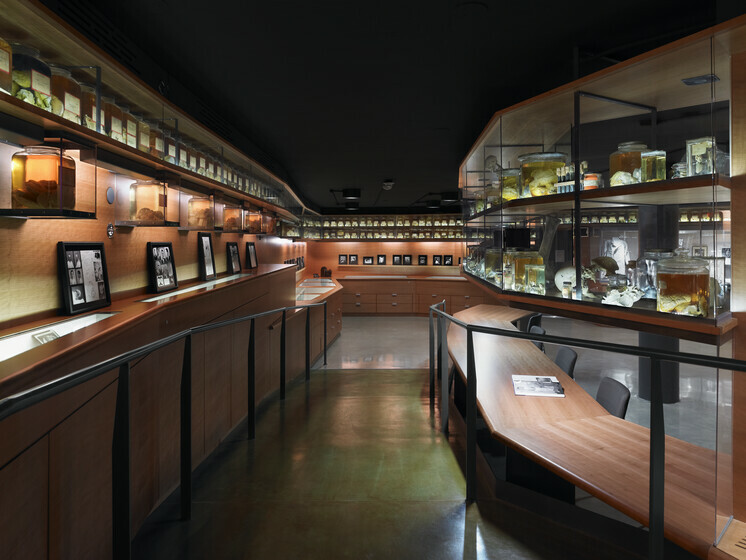 This system delivers the desired visual quality and meets curatorial requirements for low-heat, low-UV lighting and advanced controls to protect the collection from exposure to light.